Real, individual pieces of beach driftwood are carefully placed together around a hand-woven pandan basket by a highly skilled artisan. The result is a truly one-of-a-kind piece. The piece features hammer and nail construction. 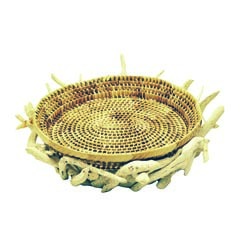 Features a hand-woven basket made from pandan leaves. 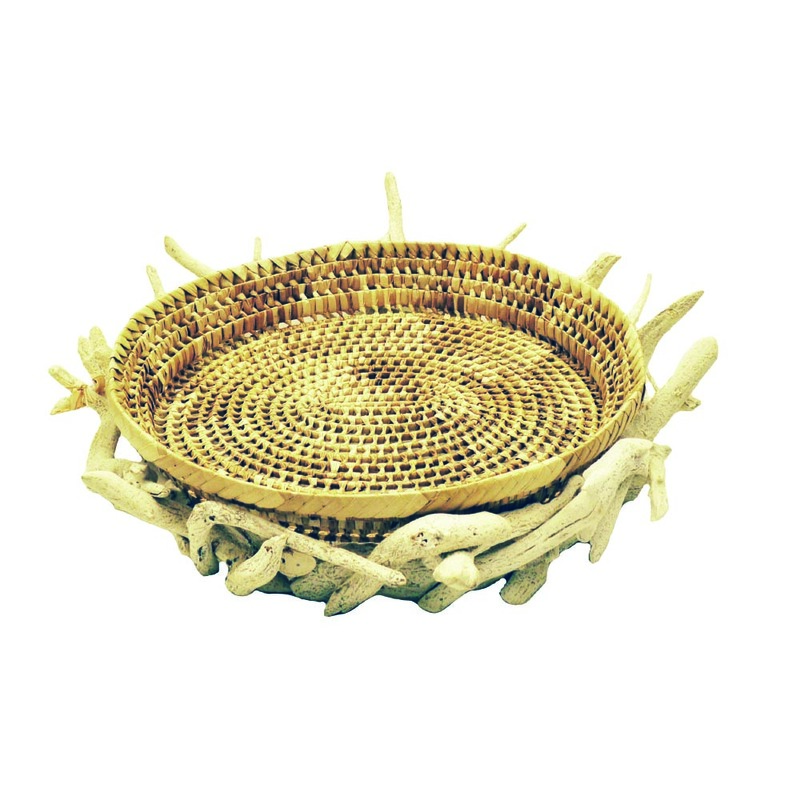 The basket is surrounded by a driftwood frame that is built by hand using hammer and nail construction.